A perfect dish requires perfect preparation. You need absolute control while preparing dishes. That’s why chefs prefer propane gas, because this source of energy responds quickly and precisely. In addition, propane gas contains 3x as much energy as natural gas! Choose propane gas and enjoy the advantages. We supply bulk tanks of various sizes, adapted to match your energy consumption. We take care of delivery and installation of the tanks and any accompanying equipment. An unexpectedly empty tank is a thing of the past thanks to our telemetry system. In addition to being an efficient energy source for cooking, propane gas is also used to heat spaces. Propane gas is compatible with common heating systems. A small bulk tank beside a chalet or mobile home is an easy solution to your energy problem. If energy is needed for a bigger number of chalets or mobile homes, then a gas infrastructure can be an interesting solution. This type of gas infrastructure consists of a larger bulk tank connected to a network of pipes. Using Smart Gas Metering (SGM), each connection has its own gas meter. This means that you always control and have insight into your gas consumption. Our field sales department will be happy to tell you more about this ideal energy solution. Call one of our area managers or request an appointment using the form at the bottom of the page. Come through the winter carefree and warm, thanks to the telemetry system. With telemetry, you are always assured of a full gas tank. The system automatically generates a message when the tank is nearly empty. The telemetry system can attend to a gas delivery completely automatically, or you send an SMS, in good time, so that you yourself can decide when you order gas. The propane tank contains liquid propane gas, but it is never 100% filled. There must always be room for the gas to expand. This room, located above the liquid gas, is needed to convert the liquid gas into vapour. The degree to which this process can continue is determined by a number of factors, including the liquid’s surface area, the remaining contents of the tank and the ambient temperature (evaporation capacity). The Benegas telemetry system keeps precise track of this for you. A gas tank is a pressurised vessel. Every colour has its own degree of heat absorption. The darker the colour, the more heat it absorbs in direct sunlight. The effect of this type of external heat must be kept to a minimum. The tank can withstand increasing pressure, but if pressure in the bulk tank becomes too high then protective features become effective to reduce the pressure (‘let off steam’). Safety is our top priority. And we have been proving that for 60 years! Propane gas is a specialist product that has to be stored, transported and processed in the right way. 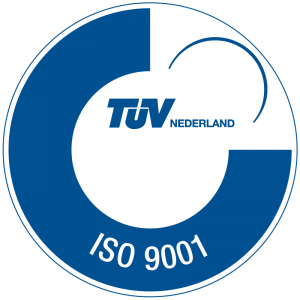 BeneGas has been ISO 9001 certified by TÜV Nederland. Hereby, we comply with the set quality and reliability requirements. Thus you are assured of a quality product and reliable service. You can very easily save on energy costs by moving over from oil to propane. Propane gas is a clean energy source for the creation of cosy warmth, cooking comfort and warm water provision. Log into the My Benegas portal, and you have a handy direct overview of all your gas deliveries and administration.